Enter your email & gain instant access! 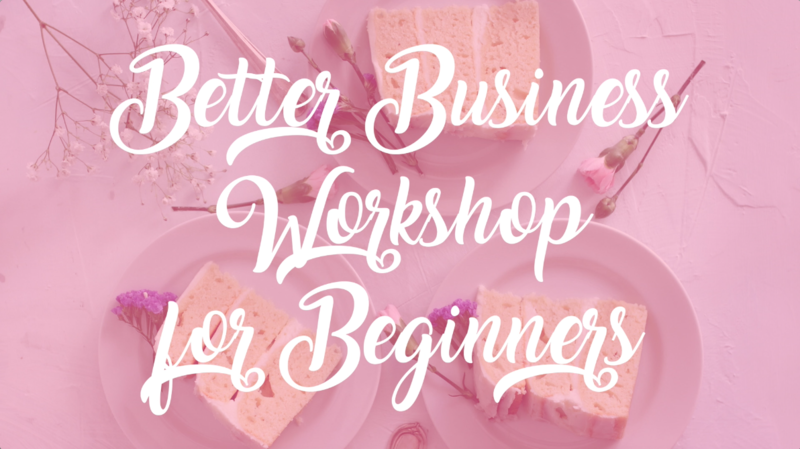 Who should enroll in this FREE workshop? New to the baking & sweets making business? If you're new to the baking and sweets industry, you've come to the right place. 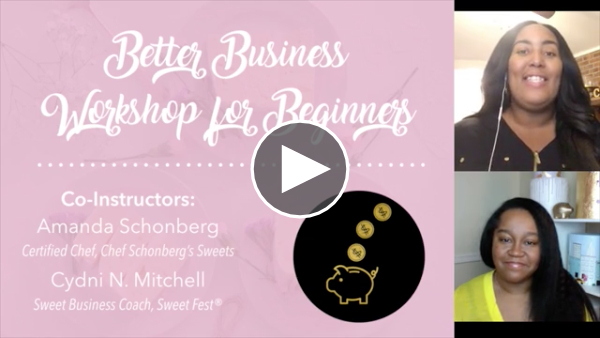 The Sugar Coin Academy is perfect for Sweet Peeps who are ready to turn their sweet making hobby into a business. Confused about online marketing and growing your client base? If you're ready to start marketing your business online, but you're lost when it comes to growing a following...this training will give some beginner strategies for winning new business and building a presence in your community. Need help understanding the numbers in your growing business? Accounting, bookkeeping and finances can be a hard concept for even the most business savvy person to figure out. If you're more creative and not so much into numbers, this training will point you in the right directions to make sure your financials don't become just another neglected part of your business. Stressed about the legal part of starting a business in your state? Thank you so much for joining us in today's training! For your convenience, a copy of this video has been sent to your inbox. If you have any issues streaming the video or if you have any follow up questions, please feel free to contact us via email at info@sugarcoins.com. See you in class!